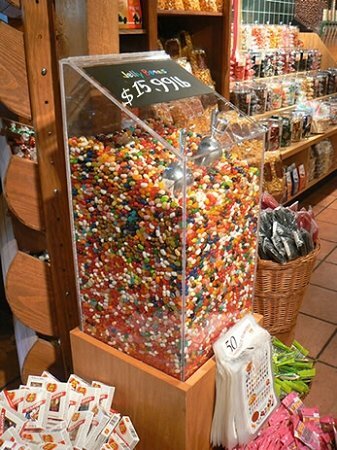 An Extra Large Acrylic Candy Bin isn't just a display case; it's a perfect way to capture the attention of all customers who come near. Standing at approximately two feet tall, this candy container is ready for all the attention your customers can create. The acrylic material is about one-quarter inch thick. The American made display bin comes with a slanted lid that offers easy access and you can add a label with vital information. Fill full of candy and watch the colorful tower draw in children and adults from near and far. Here is a great way to show off that wonderful wholesale bulk candy available at your retail location. Lure in those sales. Bulk bins are designed to store a lot of merchandise and attract extra attention. Add to your grocery store for some wholesome products and order your extra large candy bin today at All Candy Containers.